London is home to millions of singletons, and despite the explosion of online dating over the last decade, there’s now three million more single people than there was 10 years ago. 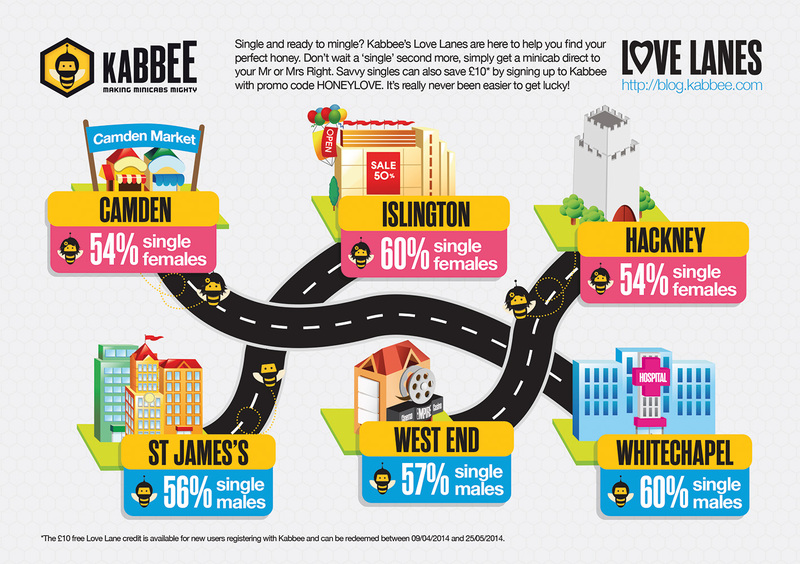 To make life easier, Kabbee has created three virtual Love Lanes for single men and women right across London to explore, giving them the best ‘odds’ of meeting Mr or Mrs Right. So where are London’s singletons hiding? ** The £10 free credit is for new users that register to Kabbee and enter the promo code HONEYLOVE when booking a cab between the six Love Lane locations. Existing members will also receive £10 for introducing new users as part of Kabbee’s Free Cabs programme. Go to http://blog.kabbee.com for more information. For more information please contact the Kabbee Team at Sense Communications at Kabbee@sensecommunications.co.uk or call 0203 551 3954. Kabbee lets users instantly compare quotes from 70 top licensed fleets – based on time, location and type of car – and then book and pay by cash, card or pre-paid account. This saves passengers time and money and increases fleet efficiency. 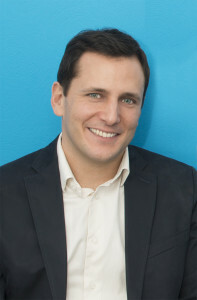 Kabbee was launched in June 2011 and has had more than 450,000 app downloads to date. Kabbee incentivises its users to earn credit with its Free Cabs programme. By simply sharing their referral code the user gets £10 free credit for any friend who makes their first new account booking and their friend will automatically get £10 free credit too! £10 free credit is open to new Kabbee users who top up their account by £10 to qualify and their first booking must have a minimum spend of £10.01. Please refer to full T&Cs. 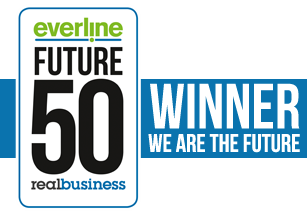 It’s official, Kabbee is crowned a “Future 50 business”! Imagine being named as one of Britain’s most EXCITING and DISRUPTIVE new businesses – well that’s us – Kabbee has been crowned as one of the top 50 businesses in the UK that has revolutionised how we do stuff! A big thanks to Real Business for the kudos (a Kabbee car freshener is in the post)….. So what did real business have to say? “The 2014 entries were as diverse as they were brilliant, showcasing businesses poised to revolutionise the way we do just about everything: from the way we shop, to the way we communicate, the way we travel, the way we eat, and even the way we die. What did our founder, Justin Peters say? “Launching in 2011 with almost 40 fleets showed us that we had won huge trust from the sector. We understood how important it was to Londoners to improve the overall service and this gave us a steely determination to make a fragmented group of local fleets behave like a cohesive unit. Who is Kabbee rubbing shoulders with? BuyMyWardrobe - a fashion resale marketplace. CompareTheCoffin.com - changing the way the UK plans and organises funerals, one coffin at a time. Gousto - a unique twist on the takeaway market. Jukedeck - the first software that can write decent music on its own. LawBite - making the law more accessible for small companies. liftshare.com - pioneering car journey sharing service. LOVESPACE - by-the-box storage from your door. Parkopedia - an online encyclopaedia for parking spaces. Reevoo - customer review platform. TheMobile Vet - challenging established chains of vets. How great, our mums will be so proud! What’s going on in the minicab market today? Since early 2011 the UK has seen some slick mobile apps enter the market – all with the same aim, to get passengers from A to B, whilst making a profit on every journey. 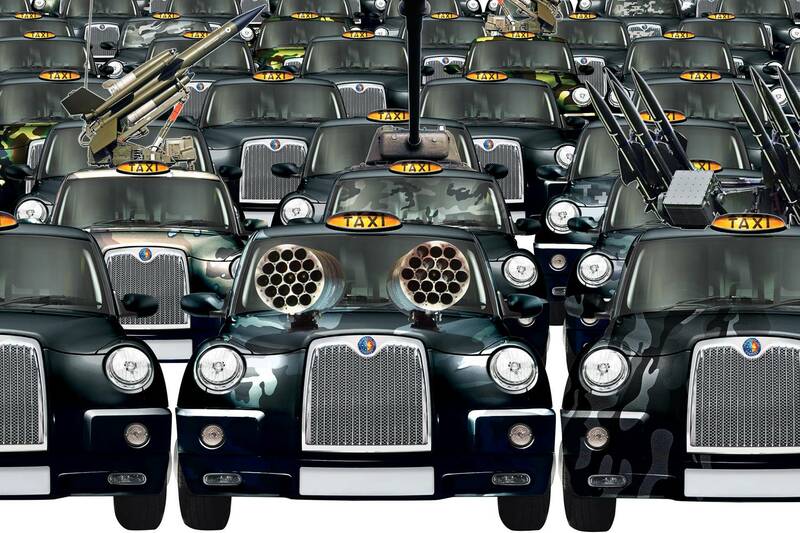 In London alone, the minicab market is worth a massive £3billion/year, representing 70 percent of all London cabs. Smaller minicab fleets dominate the market, but still drivers struggle to get enough work to make a good living from it – despite working 12 hours a day, 6-days a week. The minicab apps that have entered the UK market are either successful global leaders, or smaller UK-based start-ups. Whatever their shape and size, the race is on to convince the drivers and passengers from incumbent taxi fleets to move to the new entrants. These new brands are trying to distinguish their offering and this is fuelling an arms race to add new features that make cab booking easier – like surge pricing alerts. Being able to summon a cab from your pocket is empowering and an industry that has slumbered along for 70 years, with very little technical advancement other than GPS, has suddenly become a hotbed of innovation. The big question is, will innovation help the minicab drivers, and what new features could potentially drive down the costs even further for passengers. Unlike most cab apps, Kabbee matches demand (passengers) with existing supply (fleets). Most other cab apps connect passengers with drivers. After spending years at the minicab office coalface, our industry knowledge is second to none, so we’ve been able to focus on technology and marketing because we’d cracked many of the dispatch decisions early on. Almost three years since launch, Kabbee passengers are booking from 65 different London fleets and travel with over 4000 different cab drivers in any one month. Our London-wide advertising attracts passengers from all over London and these types of campaigns wouldn’t be considered by even the biggest fleets in London because they don’t have the scope to rapidly respond to passengers’ requests all over London 24 hours/day. The next leg of Kabbee’s journey is to put some serious thought into the dispatch processes so to best to use these drivers in a more efficient way, ensuring that fares are competitive, and that minicabs are paid what they deserve. With traffic in London no faster than it was in Victorian times, and the London population growing by 2000 people every eight days, its fastest ever pace, never has the need for 55,000 cabs to improve their efficiency been so critical. The days of cab drivers spending half their day without a passenger on board will have to end if we are to avoid the most basic solution of adding more cars to the road in order to manage the impending demand increases. There is no need for a growing population to create a crisis. At Kabbee, we pushed the price comparison message in our early days because it made it easy for passengers to understand how we were different from the other cab apps. Passengers choose a cab based on their price point or based on the earliest arrival time, the punctuality of the fleet or even according to the ratings other Londoners have given the service or the quality of car. The advantages of creating an exchange-based solution is the price and quality transparency. The other advantage is that by having a bird’s eye view of what’s going on in London, if one area of London is particularly busy while another area happens to be quiet, dozens of fleets can mobilise their cars from the quiet pockets to the busy ones. With considerable supply available, and at different price and quality points, the passenger can fret less how peaks of demand, typically on Friday and Saturday nights, will mean having to book well in advance or face significant delays and price disruptions. Tell us about price surging – why does it happen? Without meaning to denigrate the existing cab apps, unless they have a City-wide footprint, and can provide stable levels of supply, whatever the day and weather, they will never be able to match the advantages gained by collaboration. Some of these apps have done a great job creating considerable supply in a very short space of time – but with that we see surge pricing. By its nature, there will never be competition within a fleet, correcting an imbalance between supply and demand that may be distorting the journey prices at a particular point in time. The fact that one app now has high minimum charges of £15 on Friday and Saturday night and another app has surge pricing that sees peak fares in excess of eight times the price of off-peak fares, is testament to this. A fleet would probably require 20,000 active daily drivers in London to ensure their passengers get picked up at peak times all over London without price distortions. By contrast, a Kabbee fleet will react very quickly to rising prices in a particular area by competing that price down in order to win the business. Having the depth of supply is the key here. Fostering competition, in our case by harnessing incumbent operators on a level playing field, enables the best fleet to win as chosen by the passenger. The winning fleet can be different in different places at different times. And that in essence is the difference between a cab app that is using an exchange model and one that is a fleet. Launching in 2011 with almost 40 fleets showed us that we had won huge trust from the sector. We understood how important it was to Londoners to improve the overall service and this gave us a steely determination to make a fragmented group of local fleets behave like a cohesive unit. It was needed to satisfy the consumer need as well as the long-term needs of the cab industry stakeholders. What do you want to see happen in the future? With so many new efforts now being made to revolutionise the cab travel experience, it is my hope that the entrants, as well as the incumbents, put their best efforts into solving the logistical problem that has so far been tough to crack. Swiss-watch reliability, great service and a great car at a great price – that’s what people want. The cab sector will then cement its position as an increasingly viable alternative to public transport or to driving yourself and the wealth effect in the sector will mark another step forward. Kabbee, the instant price comparison and booking service for minicabs in London, has partnered with Cordic in order to add location-based data to the software used by its network of drivers. “Track my Kabbee” enables users of the mobile app to see the current location of the driver allocated to their booking. 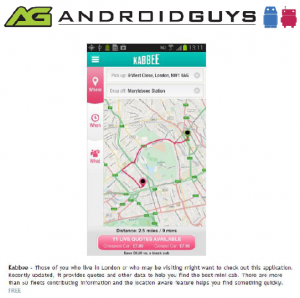 The leading-edge technology allows passengers that have booked a minicab journey through the Kabbee iPhone or Android app to track their minicab’s movements as it makes its way to their destination. When a driver is allocated the user receives a notification on their mobile “tap here to track your driver”, and they are taken to a map with the driver plotted on it (the driver appears as the Kabbee “bee”). 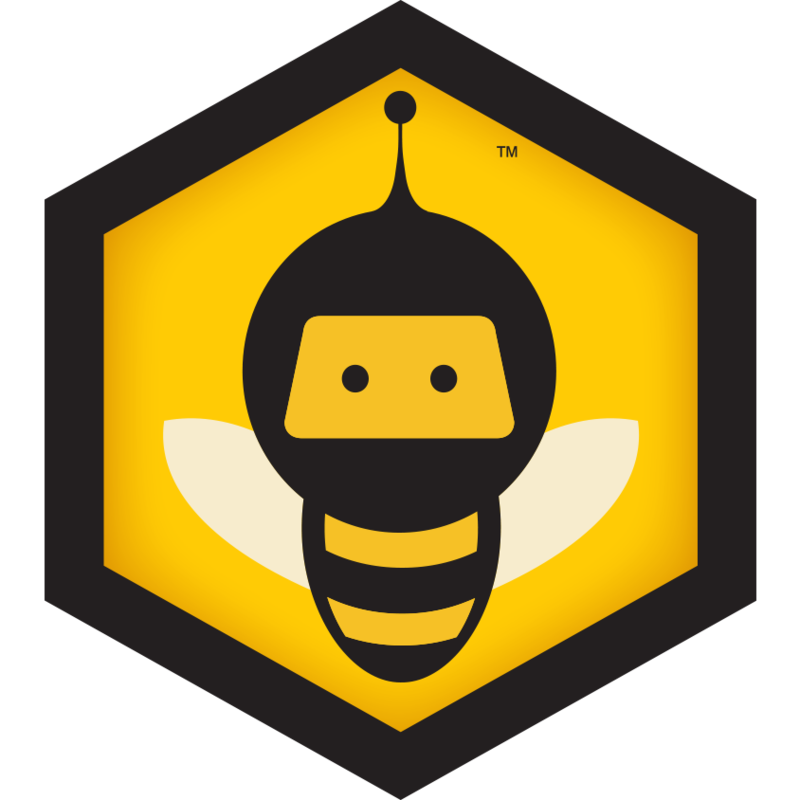 As the driver gets closer the bee moves on the map, and once the driver arrives the customer gets a notification. 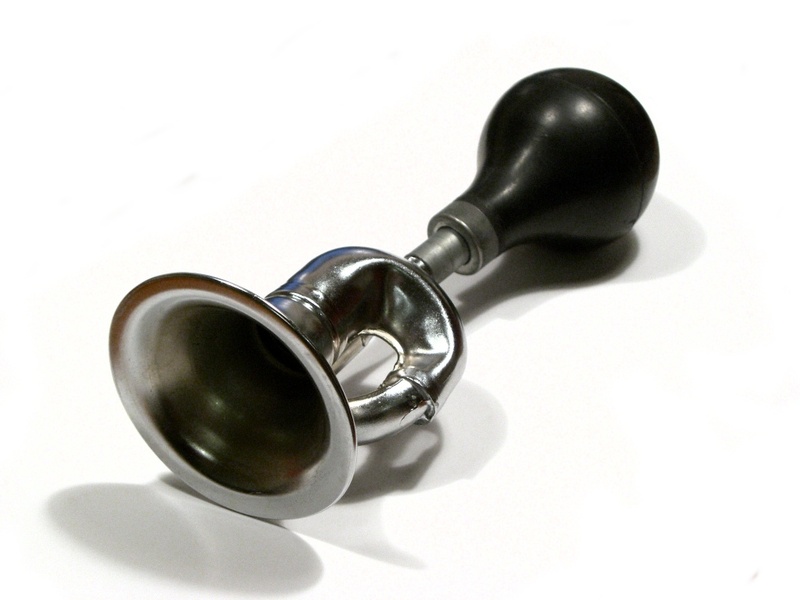 When users have the app open on the Track my Kabbee page, a horn will sound as a signal the minicab has arrived! 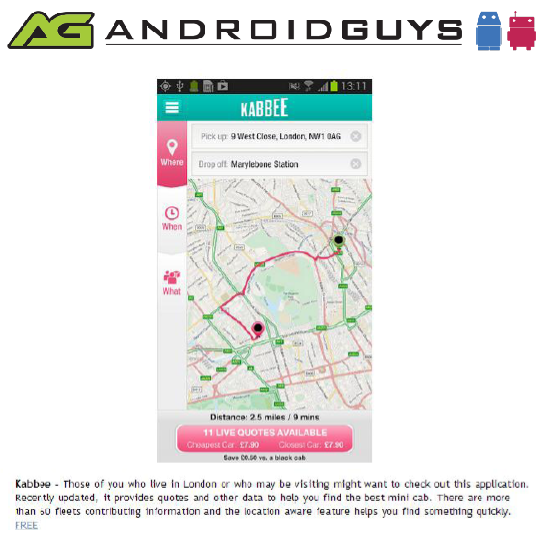 Kabbee users will never have to hear the minicab phrase ‘it’s only around the corner’ ever again! By combining the consumer appeal of Kabbee’s award-winning* mobile apps with Cordic’s market leading fleet management software, they can create the perfect outcome for fleets, drivers and consumers. Kabbee’s vision is to improve the sector for all stakeholders and this agreement is a big step in that direction. The developments in technology means ‘Track my Kabbee’ is the first fleet booking aggregator digital solution in the UK to have this feature. For more information please contact Kabbee@sensecommunications.co.uk or call 0203 551 3954. Kabbee has been named as one of the Top 15 apps on Androidguys.com.